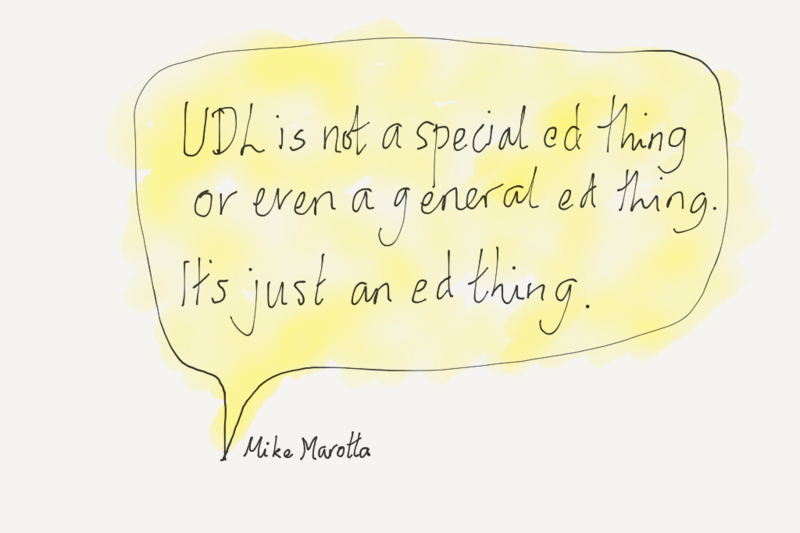 Universal Design for Learning (UDL) can help us in this work. It gives us a framework to design learning environments that are “flexible, and where barriers to learning can be identified and removed at the outset (Ministry of Education, 2019). It can help us towards equitable access and participation in education. “UDL is focused on ensuring all learners get a chance to learn in ways that work for them. It is about removing barriers and opening doors to learning. It is driven not only by the findings from neuroscience and educational research but by a vision for equity” (Ministry of Education, 2019). When UDL is implemented intentionally across a community it can bring coherence to teaching practices that are inclusive of all learners. This approach benefits everyone. knowledgeable teachers who value and have an understanding of learner variability. their child will not be singled out or separated from their peers. problem solve with colleagues, students and whānau using the shared language of UDL. provide a shared language that can be used with all stakeholders, across all contexts. Talk to your Expert Partners and PLD facilitators – you can use UDL to increase the inclusivity of all aspects of your Kahui Āko or cluster mahi. 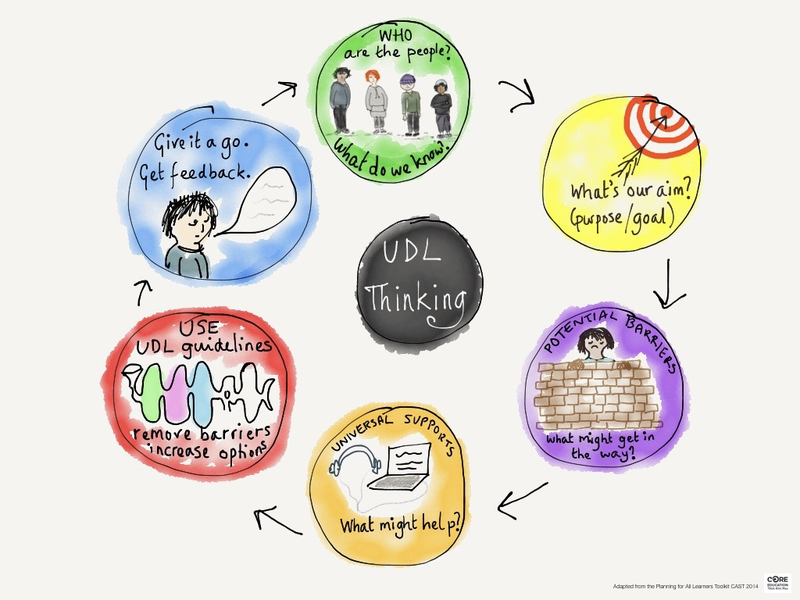 Chat to the UDL team at CORE about next steps in your own learning. Extend your practice with Universal Design for Learning – offered in Christchurch, Wellington, Auckland and online. 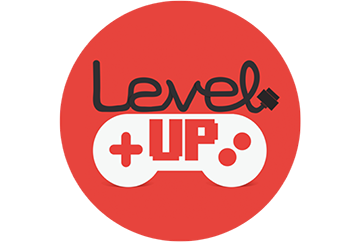 Here’s a loose attempt to apply a gaming analogy to valuing and planning for diversity in your learning community. You are directed to go to the local supermarket (with the work credit card) to “Get something for lunch”. Chances are you wouldn’t buy $150 of mince and cheese pies. Instead, you would probably run this little narrative in your head, “Hmm, I bet someone is vegetarian, maybe gluten-free or even dairy free, better get a range of stuff then people can choose what they want”. That’s planning for the predictable. We expect people to have different preferences and needs, so we plan for them. We want everyone to eat, to feel welcome. It’s about courtesy. We definitely don’t want anyone to feel excluded. In any teaching context, the above scenario translates pretty well. As teachers or facilitators, we find ourselves in situations where we have to prepare an environment for learners we don’t know personally. What guides planning in this context? What might be the predictable needs or preferences in a learning environment? How do you demonstrate courtesy or practise manaakitanga? Summary: Level one is about expecting, valuing, and planning for that diversity from the outset. Scenario two: Kai for a friend’s birthday. If I invite a friend over for her birthday and I know she loves strawberries, I’ll probably offer strawberries as an option for dessert. It’s a small ordinary thing: something most of us do. When I am facilitating, and I know that there are a bunch of people in the room who love walking in the mountains, I will try to include analogies and images related to mountains, big vistas, and wild remote places in my storytelling. Again, it’s a small act, motivated by an intention to build connection and support engagement. Summary: Level 2 is really about getting to know people personally and using that knowledge to refine the learning design. Adopting Level 1 and 2 practices will probably improve the usefulness of most learning environments. The downside? These approaches can be a bit random, e.g., when learners move between classes they can experience very different levels of access, options, and support. shared foundational approaches to ensure learners get a more consistent deal as they move from class to class, course to course, school to school? common language to support our practice and conversations with students, whānau, and each other? Universal Design for Learning (UDL) is the approach I wholeheartedly recommend schools, kura, and learning organisations investigate. Although UDL originates in the US, we are learning to use it with integrity here in Aotearoa. applicable to all aspects of education (systems and processes, professional learning design, community partnerships, the design of physical environments, assessment practice, activity and event planning…). Many of the practices recommended in the UDL framework are already familiar, so we’re not starting from scratch. guides deliberate coherent innovation in inclusive design. Summary: Level 3 is about taking a strategic transparent approach to planning for diversity. 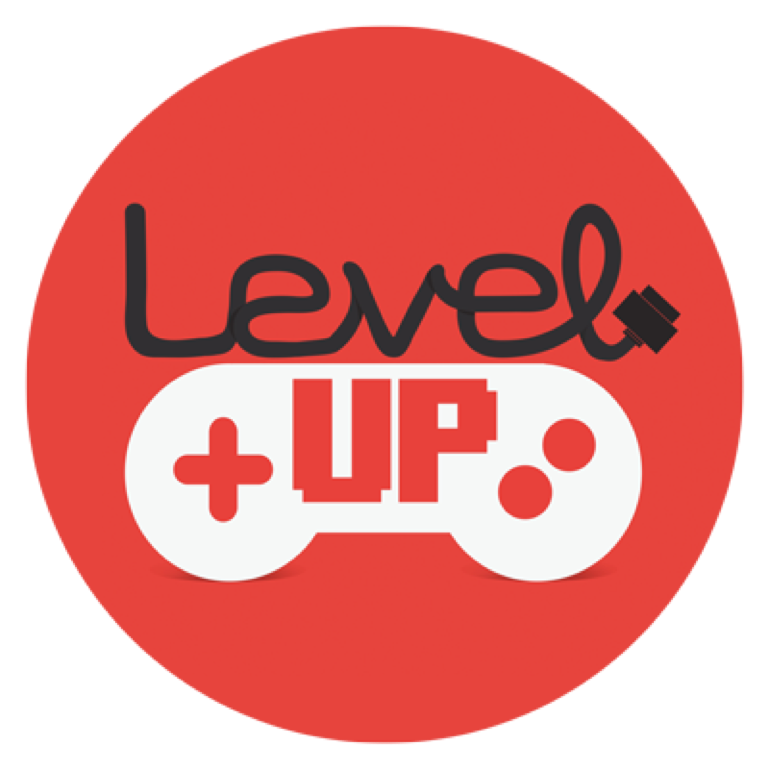 So, which level best represents your organisation ? What’s your view and what’s your evidence? What would the students say? Contact: CORE UDL team or your local RTLB team. At the end of 2016, I bumped into an art project that shook up my ideas about how we collaborate with our communities to build inclusive environments. The project was called Madlove: a designer asylum. 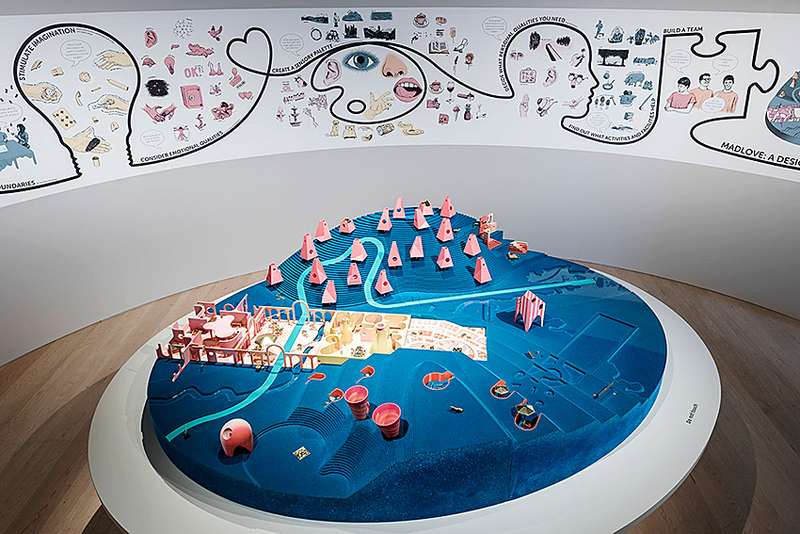 It was conceived by artists the Vacuum Cleaner and Hannah Hull who brought together “people with and without mental health experiences, mental health professionals and academics, artists and designers – and everyone else on the spectrum” to dream a new landscape for mental health. created a design that was informed by an acute sensitivity to individual differences. Find experts by experience: Search out people to participate in the workshops with diverse first-hand experiences and diverse perspectives. Also welcome their friends and supporters. Remove barriers to these people sharing their ideas: Seek to remove barriers both to participation and barriers in mindset; offer flexible options and supports. Stimulate imagination: Use real objects, textures to stimulate participants’ senses so that they can think about what supports wellbeing, reduces anxiety, and encourages focus and attention or connection. Consider emotional qualities: Explore what conditions will impact and influence emotional states. Create a sensory palette: What does good learning and wellbeing look, smell, taste, sound, feel like? Decide what personal qualities you need: What people and attributes will you need around you to enable you to thrive? Find out what activities and facilities help: Brainstorm all the things people would like to do in the space. 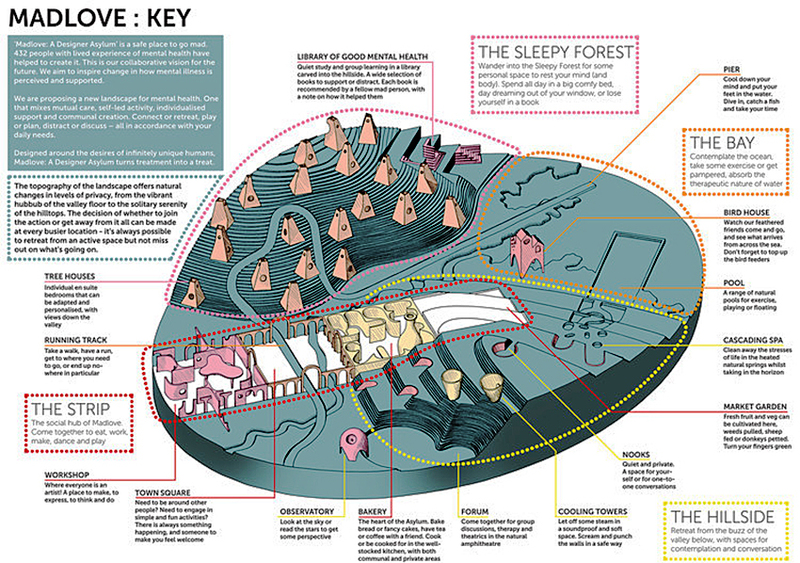 Build a team to develop the design: Find an illustrator to visualise all these amazing ideas. Collaborate with a designer and an architect to create the design. When I reflect on the above, I really like the way in which participants are supported to use all their senses to think about the design of a new space. I also like that participants are offered multiple approaches to reflect on what it is they need and what can help. It is much more than an academic exercise or a presentation and discussion. It is an in-depth inquiry into what is needed and provides real guidance for designers around what must be included in a design. I also really like Step 8, where an illustrator is employed to distill the brainstormed ideas into a graphical representation. These graphics are then used to support the understanding of the architect and the designers and together a prototype model is developed. 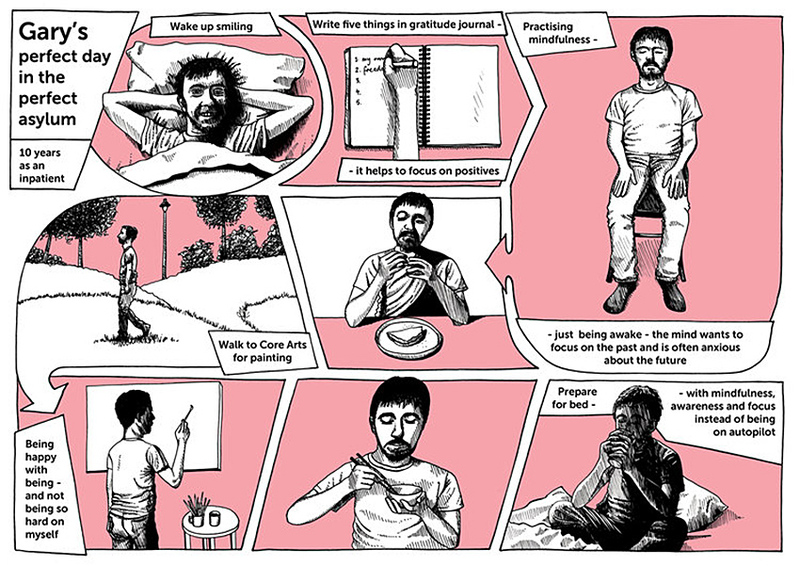 Another way an illustrator was usefully employed was in the development of “Day in the Life” graphics. These were developed from interviews with participants and were again used to build the understanding of the designer and architect. I think the “Day in the Life” idea is something we could also explore with students and whānau. Finally, it is worth taking a close look at the key for the 3-D model which outlines the specific function of each area. Although the model surpasses our budget constraints in an education context, there is something about the way the designers are able to articulate their rationale for the design that makes me wonder if we could do the same in education. Topography: The landscape offers natural changes in levels of privacy, from the vibrant hubbub of the valley floor, to the solitary serenity of the hilltops. The decision of whether to join the action or get away from it all can be made at every busier location – it’s always possible to retreat from an active space, but not miss out on what’s going on”. Library of good mental health: Quiet study and group learning in a library carved into the hillside. A wide selection of books to support or distract. Each book is recommended by a fellow mad person, with a note on how it helped them. Tree houses: Individual ensuite bedrooms that can be adapted and personalised, with views down the valley. required to strive to “promote the physical, emotional, social, intellectual and spiritual wellbeing of learners”? Draft Code of Ethics, Education Council 2017. Let’s do the best we can to make sure these new spaces are optimised to support the learning and wellbeing of every student. Working with the diverse perspectives of learners and whānau is a strong place to start. Huge thanks to the Madlove team and the Wellcome Collection for their kind permission to share these images and ideas. 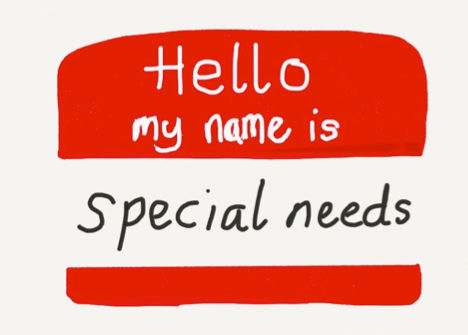 Want to learn more about designing inclusive environments? Q: Kia ora, Chrissie — and thanks for agreeing to be interviewed. A: No worries. It’s a pleasure. Q: OK, so let’s start with the question we ask each guest as an opener: If you could study anywhere in the world right now, where would you go? 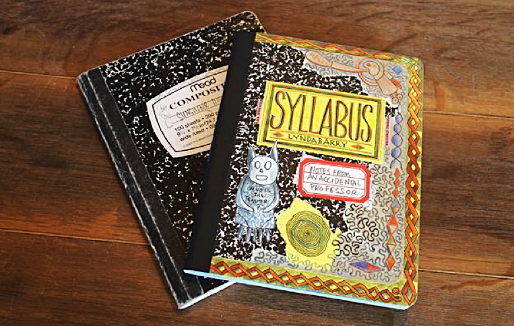 A: University of Wisconsin — to study with Lynda Barry. Q: Woah, no hesitation there! Why Wisconsin? A: Because Lynda Barry is there and she works in a way that would totally make my brain hum. I would be camping outside the door to get in each day. Q: That’s quite an endorsement. A: Yep, she’s a total inspiration and a mentor. A maker and a teacher and a wonderful rule breaker and explorer. Best of all, she only gives feedback by saying “good” and laughing uproariously, and for me that is the perfect fit. Q: I think you might need to tell us a bit more. In education, certain words and phrases have become the currency of our organisational systems and processes. We have ORS students, and “gifted and talented”, and TAs, and SEG grants, priority learners, and target students. We use the terms, in good faith, to define roles and responsibilities, determine funding needs, and allocate resourcing. What is the hidden impact of those words on the wellbeing and learning of students and on the expectations and actions of teachers?